There’s a free comms template at the bottom of this post – scroll down! 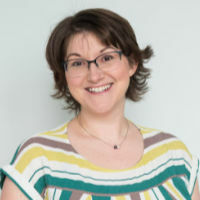 I remember that a few weeks after I started back at work after maternity leave, one of my long-time stakeholders sent a message to someone pretty high up in the business saying ‘project communication was so much better when Elizabeth was around’. It’s nice to hear people say I was doing something right, although it was a bit of a shame that she hadn’t realised I was already back at my desk. I guess I didn’t do much communicating during those first few weeks. Good communication on projects is so important, and I hear this from you guys all the time. There’s a feeling that it’s not possible to do all the communications that you’d like, and I get that. So let’s prioritise. At this time of year it’s a good opportunity to reflect as we establish areas for improvement in the coming 12 months. If you only have a limited amount of effort and energy to spend on communicating about your project, what should you focus on? 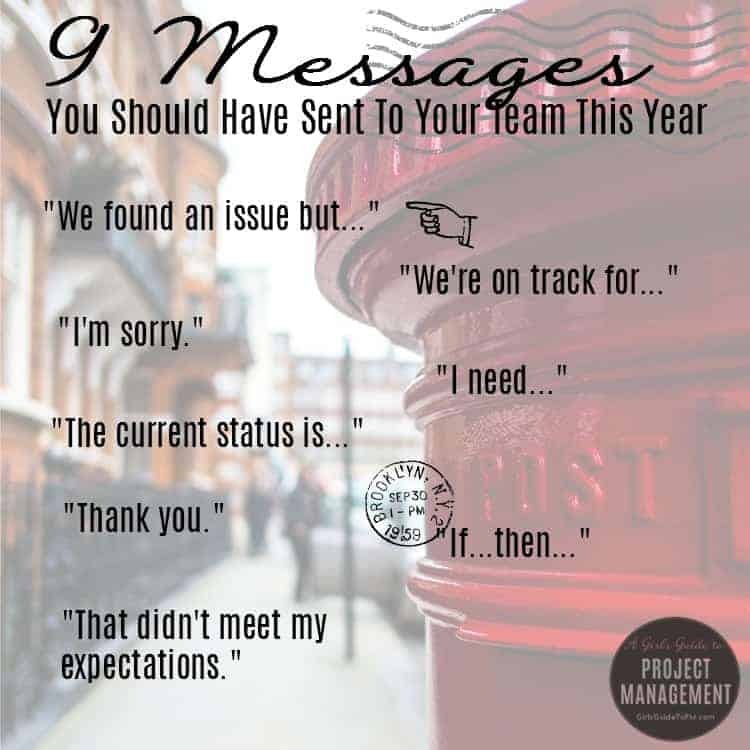 Here are the 9 most important messages for project managers to share. 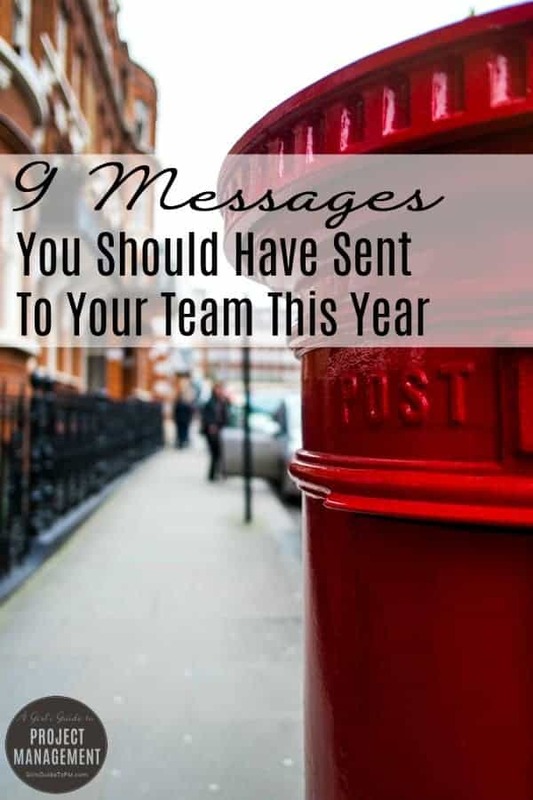 Did you send any of these to your team during 2016? You should have done. When something goes wrong you should ‘fess up as soon as possible. However, senior stakeholders like it when you can tell them what you are doing about the problem. If you faced a problem this year you should have presented the issue along with your solution or recommendation. You should have kept stakeholders informed at all stages along the way. Letting them know that things are on track helps them feel confident that the work is progressing as planned. This is different to the ‘reporting by exception’ model. In my experience, that only works for a short time. When people stop hearing positive noises after any length of time they attend to assume the worst, even if you’ve told them that you will report by exception. How many times did you apologise this year? Lots, I hope. (OK, not that many.) You can cut through a lot of conflict and office politics with a well-placed, sincere apology. I hope you used regular project status reports this year. You should have used them as a tool to communicate status on your project, at least once a month, at least to the project sponsor. Preferably more. Need some help improving your project reports for 2017? Take my online project reporting course and get people to actually do something as a result of reading your status updates. Make connections. As a project manager you are well placed to see what is going on in various areas of the business. Link people together, make introductions, pass on information that you think others would find useful. If you didn’t do it this year, read these 6 reasons why networking is important and see if I can change your mind for next year. For coming to my meeting, for giving up your resources to help with testing, for passing me that great contact, for being such a great project team member. There are dozens of reasons why you should have said thank you to the people you worked with this year. I hope you took every opportunity! Sometimes we have to communicate the bad news, and if you don’t speak up you won’t ever seem improvements. When a team member doesn’t perform as expected, talk to them about it (and not via email). It’s not personal. You had expectations, they didn’t meet them. Discuss how you can both get a better result next time. You should have done this with suppliers as well. Don’t put up with bad service because you are too worried to say something. I’ve been guilty of this in the past and it doesn’t end well. Did you get the resources you needed to complete your project tasks successfully? No? Did you ask for them? Don’t expect your project sponsor to be a mind-reader. If you want more people, more money or more time, ask for it. You might not get it but at least you have tried! You would have made a lot of decisions this year. Did you always take the time to explain why you put forward that particular recommendation? You should have explained the consequences of your decisions in business terms, so that stakeholders and project team members understand why you’ve opted for that route forward. Get a headstart planning your communications for next year’s projects with my free communications calendar template. It will work for any year! Enter your email below to download it now (Excel spreadsheet). Sign up for our newsletter & receive the free template as an Excel file. Curious – how do you balance the saying of “I’m sorry” with trying not to say “I’m sorry” all the time? Let me clarify – you know how women often begin conversations with an apology (even though there’s no reason to apologize)? I’ve been so incredibly guilty of this – especially during meetings when I share an idea. So I’m making a concentrated effort to stop! I like your idea of using apologies in a sincere and well-placed way.